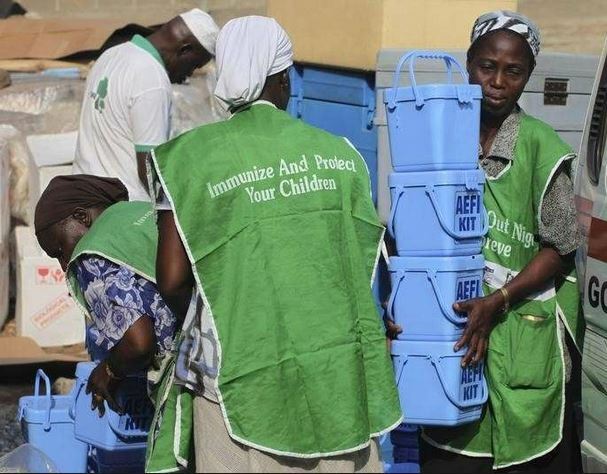 The Federal Capital Territory (FCT) Primary Health Care Development Board on Tuesday expressed dismay over rejection of immunisation by some foreigners in the Capital city of Nigeria. Dr Mathew Ashikeni, the Acting Executive Secretary of the Board, described the development as disheartening during an interview with the News Agency of Nigeria (NAN) in Abuja. The FCT administration, on February 8, commenced vaccination against measles targeted at 619,000 children. Ashikeni said that some vaccinators, who went to Lautai Estate in Wuse Zone 4 in Abuja, where some foreigners resided, were turned down. He alleged that the foreigners in the estate threatened not to pay the estate security guards should they allow the vaccinators access to the estate. According to him, the management of Turkish Hospital and International school in Abuja also prevented the health workers from carrying out the immunisation in their facilities. The board secretary said that the vaccine being given to the children was safe and wondered why those foreigners rejected it. He said that rejection of the vaccination was risky as it would expose the children to measles. Ashikeni appealed to appropriate authorities to call the foreigners to order and allow their children to be immunised.